Anfield is definitely the most famous area in all Liverpool today, mainly because it is home to the stadium of Liverpool F.C. According to the latest estimates, it is home to some 14 000 people. 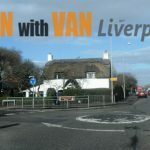 Notable residents of the area include Vincent Cavanagh and Daniel Cavanagh of the rock band Anathema, Bobby Willis, the famous songwriter and actress Kerrie Hayes among others. 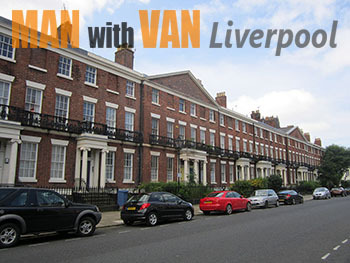 The area of Canning is one of the most distinct and beautiful places in all Liverpool. The reason for this is that the architecture here consists almost entirely of well preserved Georgian houses and even the public buildings are almost entirely in that style. The construction of the neighbourhood began in the first years of the 19th century. After a period of considerable decline, the 1990s marked many improvements in the quality of life here, and today Canning is a fashionable and much sought after residential district. Another nice place in central Liverpool is of course the celebrated district of Edge Hill. Located to the south east of the ideal centre of the city, it was immortalised in Groove Armada’s song “Edge Hill”. The best known and largest landmark in the area is of course the Edge Hill Station. It was originally built in 1830, but was later moved to another location, some 150 metres away. It happened just 6 years after the first one was completed. Known for its prominent cricket club, the district of Fairfield is to be found between Tuebrook and Kensington. It is filled with red-brick terraces as well as large Victorian villas that create a pretty unique atmosphere, especially in the area known as the Fairfield Crescent, which was built over 300 years ago. Prescot Road contains one of the most fashionable shopping areas in the city. Old Swan has a population of 16 461 people according to the last census. 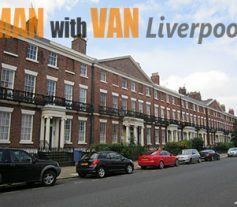 It is known for being home to a number of food and clothes shops – it is one of the most popular commercial areas in the city of Liverpool today. 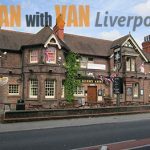 Interestingly enough, Old Swan was home to many popular footballers, such as Ron Atkinson who was a manager of Manchester United, Dennis Evans, a captain of Arsenal F.C. and others. Coronation Street actress Georgia May Foote was also born there. 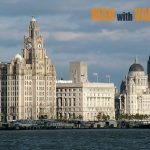 Liverpool is known for being home to some of the best public parks in the country – rivalled only by London perhaps in that respect. Prince’s Park is one of those. This public park, which covers a territory of 45 ha, has spawned a residential development around it, which today contains some of the most desirable properties in the city. It was in 2009 when Prince’s Park was named a Grade II* listed historic park by the English Heritage – making it the third one in Liverpool, after Sefton Park and Anfield Cemetery. Prince’s Park hosts a weekly 5 km park-run that regularly attracts over a hundred people.